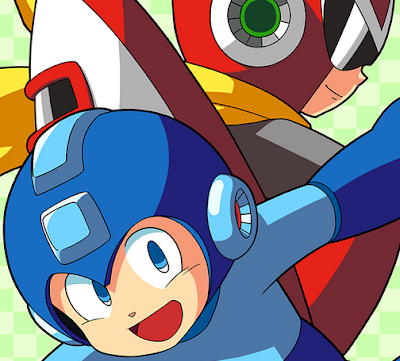 Via the Rockman Unity app, a new mobile wallpaper has become available. This one is fairly simple but charming in a quaint way. See the full piece after the jump! 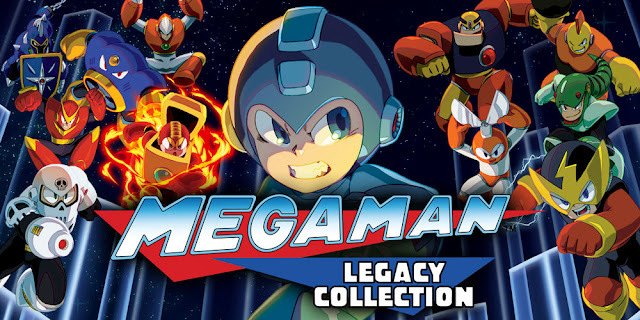 During a discussion with the Achievement Oriented podcast, Mega Man Legacy Collection producer and director Frank Cifaldi says his company Digital Eclipse are working on a new Capcom game compilation. What's more, it could be announced relatively soon. Between the 31:30 and 32:00 mark Cifaldi says, "I shipped a collection called Mega Man Legacy Collection the year before last (it's been a while), and we've got another one coming out soon that they're gonna announce any day now. I don't know when - I wish I could talk about it but it's really cool." 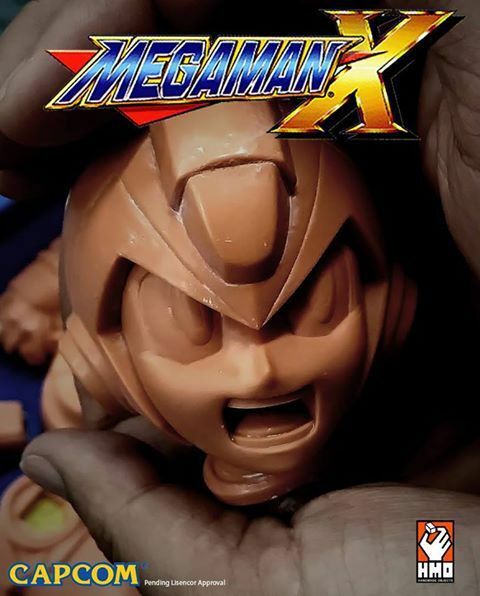 Unfortunately, it's difficult to say if the product is related to Mega Man or not. I think there's some viability that it could be, though. This year is franchise's 30th anniversary, after all, and we're just now starting to see some commemorative goods for the occasion. It's an exciting prospect and the possibilities are indeed bountiful, but there is no guarantee it's Mega Man. 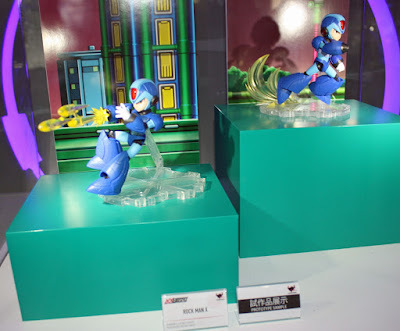 If it is a new Mega Man collection, you'll see a new post on this blog. If not, I'll update this post as more information becomes available. Thanks to Sean "Nz17" Robinson for the tip! UPDATE: It's Disney Afternoon Collection! Awesome! Nineteen years after its North American release, we're still finding localization changes in Mega Man Legends. Game Grammar - a YouTube channel that teaches you Japanese through video games - shined light on an obscure interaction between Mega Man and an NPC at the Kattelox Art Museum. The dialog tree in the scene is largely the same between the English and Japanese versions; however, one choice in particular was a little too suggestive for Capcom USA. I don't want to give it away but you might just learn something new about a certain character. Thanks for the tip, RockinX! For every great piece of Mega Man merchandise, there's a weird one not too far behind. 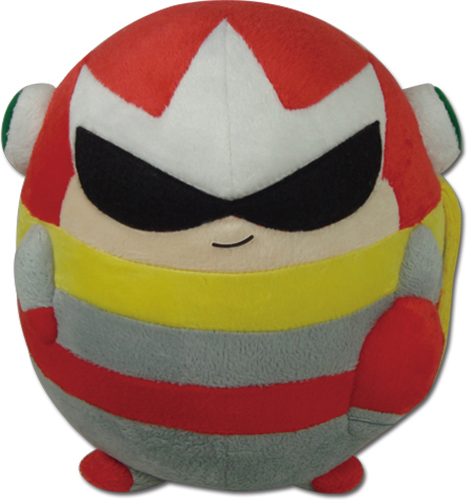 Case in point: a soon-to-be released plush Proto Man ball. It's ridiculous in every way but you just know it will be everywhere. This oddity showed up on Great Eastern Entertainment's product database. He's all by his lonesome at the moment, though I'm sure in due time other ball-shaped characters will spawn. Great Easter Entertainment's Mega Man rights limit them to the classic, X and Legends characters. You never know who will show up next. 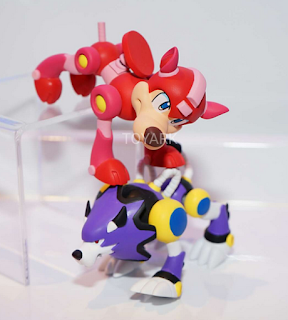 Details are forthcoming but two fan favorites are being added to Sentinel's 4Inch-Nel Mega Man line: Mega Man Volnutt and Star Force Mega Man. The pair were spotted at Wonder Festival. Hit the jump for a few more images. Stay tuned for updates! 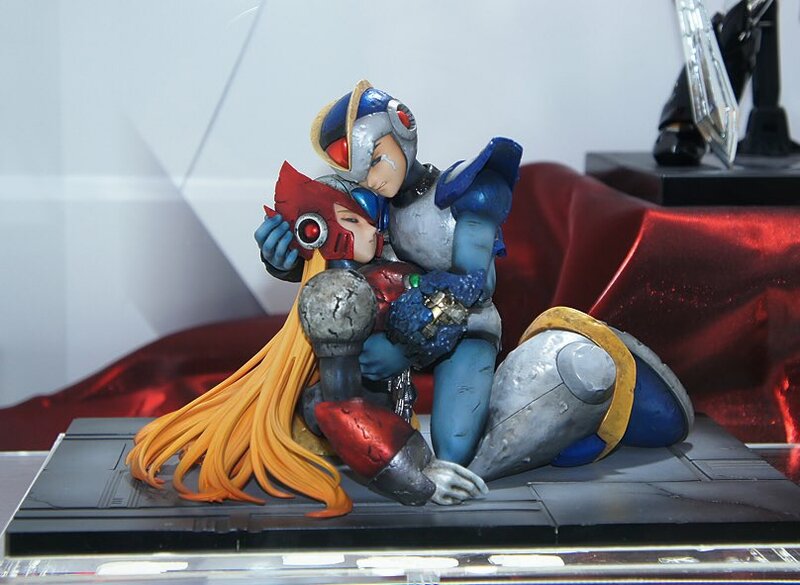 A battle-weary X cradling Zero's lifeless toros is an iconic moment from Yoshihiro Iwamato's Rockman X manga. A few months back it was announced the scene would become a figure courtesy of Amakuni; this weekend, at Wonder Fest, the figure appeared for the first time in color. 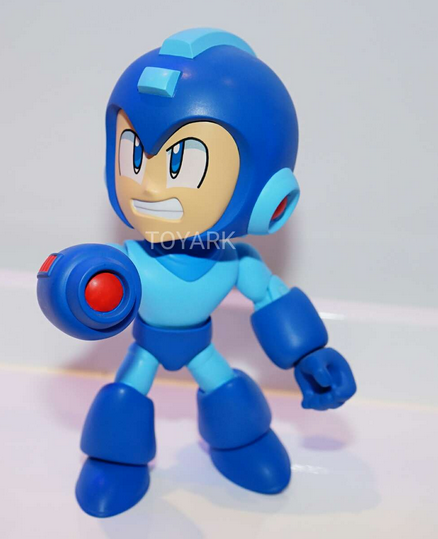 A new line of Mega Man Action Vinyls by The Loyal Subjects were just unveiled at Toy Fair 2017. 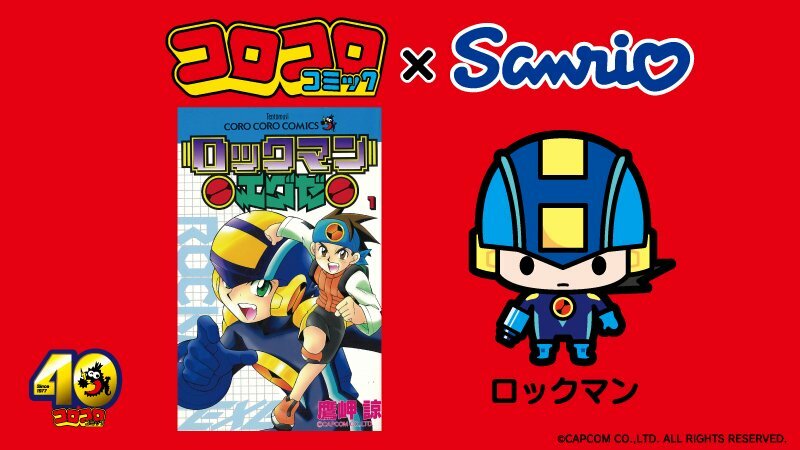 The line will consist of classic series Mega Man, Proto Man, Bass, Rush, Treble, Cut Man, Elec Man, Skull Man, Mega Man X, Zero and Sigma! 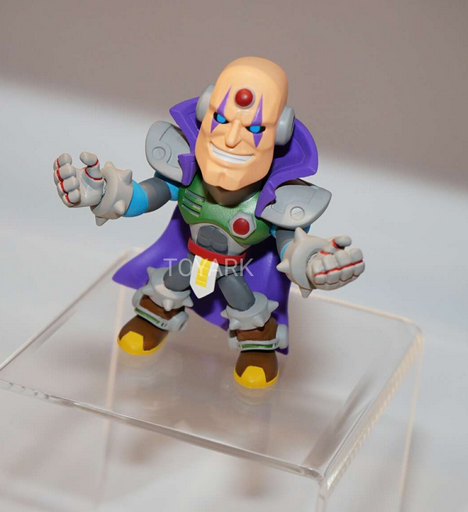 Sadly, they'll be sold in blind boxes! No word yet on price and availability but we have lots of images of each figure courtesy of Toy Ark. Check out their post here for the rest of the lot! 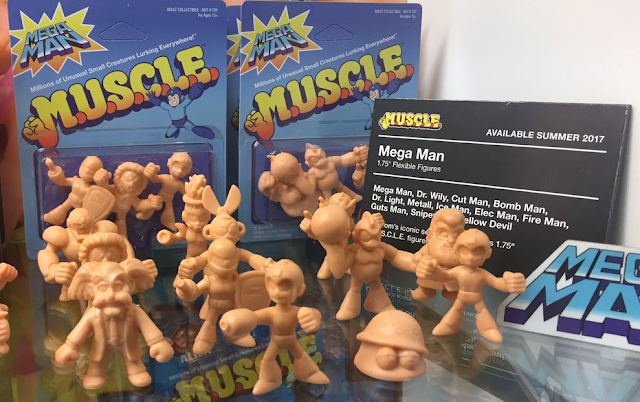 Super7's latest video game-inspired M.U.S.C.L.E lineup is none other than Mega Man! Currently on display at Toy Fair in New York, the line consists of 12 mini figures (1.75 inch) from Mega Man 1: Mega Man, Mega Man Mega Buster variant, Cut Man, Guts Man, Elec Man, Bomb Man, Ice Man, Fire Man, Metool, Sniper Joe, Dr. Light, Dr. Wily and Yellow Devil (not on display). Three figures will be sold per pack later this summer. No word on price and the moment but going by Super7's Street Fighter 2 figures, we can expect these to retail for $6.00 and $24.99 for the full set. "Turbo Mode" Added to Mega Man Mobile - Games Run Super Fast! A third game speed has been added to Mega Man Mobile 1-6: Turbo Mode. As the name implies it turns the speed up to eleven. But is that a good thing? 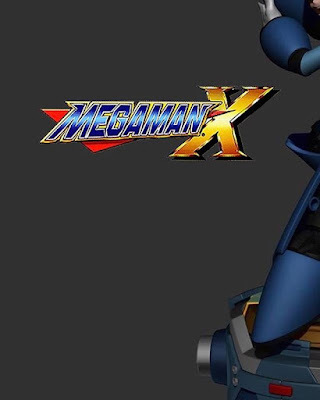 Due to manufacturing issues, Sentinel's 4Inch-Nel Mega Man X figure has been delayed from February to an undisclosed March date. Union Creative - Sentinel's parent company - sent word out via Twitter. What's more, AmiAmi has begun notifying customers who pre-orderd the figure about the delay, too. Their product page now reflects the new date. Long story short, you can stop waiting for the mailman and pick up where you left off sometime in March. Just a quick note for anyone looking to pick up the Mega Man board game by Jasco: Amazon US has it on sale for $52.73, marked down from $79.99 (%34 off!). Not a bad deal at all, especially if you've been holding out on a price drop. Stock is very limited so snag one up ASAP! 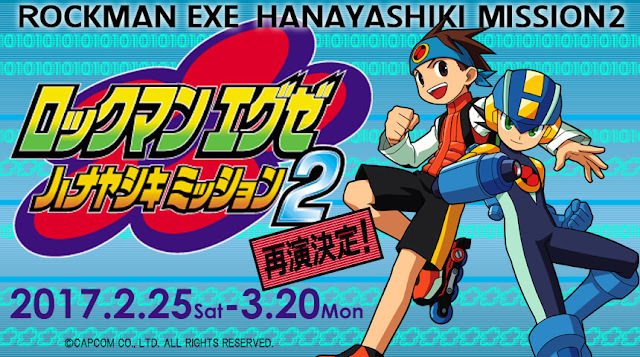 In just a few short weeks Rockman EXE returns once more to Tokyo's famous Hanayashiki theme park. (for the THIRD time!) And just like before, the event will play host to all kinds of exclusive EXE goods for fans. 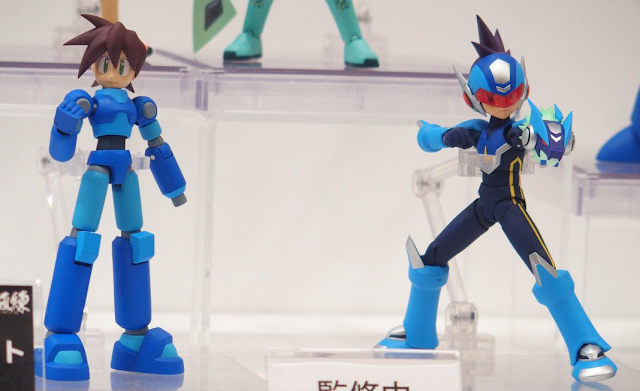 Straight from the C3 Hong Kong showroom floor, here's our first look at a brand-new Rockman X figure from Bandai Tamashii Nations. It's part of the NXEDGE line, 4-inch poseable figures mostly associated with various mecha properties. (Gundam, Evangelion, etc.) 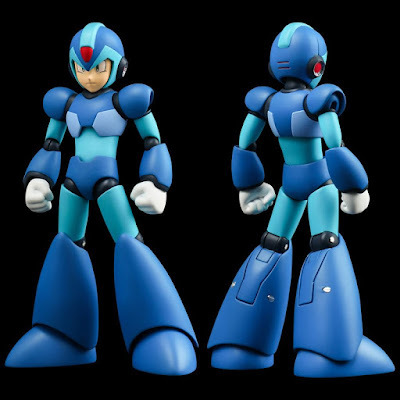 X here looks to the the first video game character for the line. Price and release date are not available at this time. Details are forthcoming! From the man who created the Marble Machine, Wintergatan's Martin Molin brings us a unique rendition of Dr. Wily's Mega Man 2 theme played on the "Modulin". The Modulin is a home-made device, a mix of a modular synthesizer and a violin created by Molin. It sounds a bit like a souped-up, high-tech theremin. An English sound patch for the Korean-only Mega Man X7 PC port has been out for quite some time. Unfortunately the sounds are incomplete, voices are off-pitch and CG cutscenes aren't spoken in English. It was an admirable effort but not quite up to snuff. Thanks to Gnite Productions, though, this patch is now pretty much perfect (or as perfect as X7's dub can be). 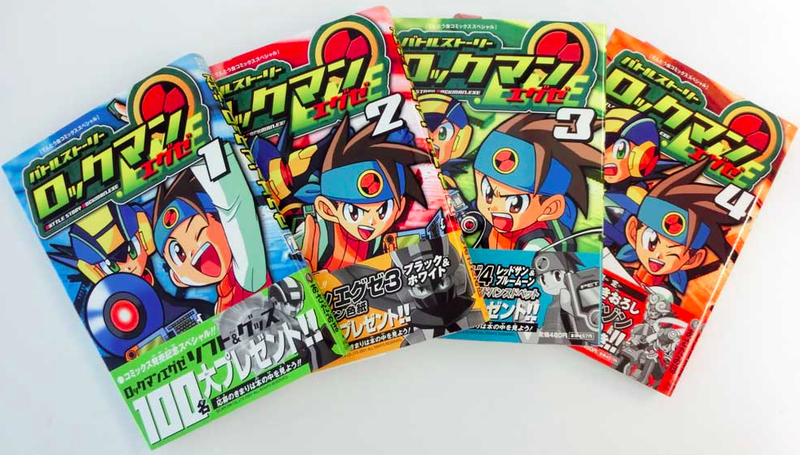 With the final volume of Ryo Takamisaki's Rockman EXE reprint due this month, fans and collectors of EXE manga can look forward to the next batch of reprints: Miho Asada's Battle Story Rockman EXE. Originally published from 2002-2004, the reprint will condense Asada's story from four volumes to three. Fellow Rockman artist and friend of Asada, Ryuji Higurashi, will contribute guest artwork for each volume. A very small preview of that can be seen here. The books are due in Japan later this Spring. Battle Story is one of many untranslated Rockman manga; perhaps now is a good time to remedy that, though? (on second thought, Viz owns the EXE rights and they haven't don't squat with it in ten years). Rosenkreuzstilette Giveaway - Win a Copy of the Game! 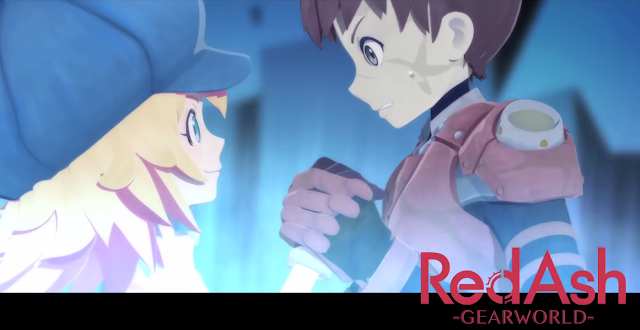 Mega Man-like Rosenkreuzstilette just hit Steam and Playsim. To celebrate, I'm giving away ten - count 'em - ten download keys! To enter simply shoot an e-mail our contest account rockmancornercontests(at)gmail(dot)com (remove parenthesis) with the subject "Giveaway Keys". Ten winners will be chosen at random on Tuesday, February 14th at 8:00pm EST. That gives you a week to get on this. In the meantime, why not add Rosenkreuzstilette to your Steam wishlist? Be advised, reselling winning keys is strictly prohibited. We will run key checks to ensure they've been redeemed legitimately. If you're caught reselling keys, you will be banned from future giveaways. That said... good luck! Coro Coro Comics turns 40-years-old this year. To celebrate the occasion, Sanrio are teaming up with several of the comics' most famous characters. Among characters past and present to be cutie-fied, Rockman.EXE will be represented with plushies, clothing, stationary and other items featuring his likeness. It's not the update we were hoping for but it's "new content" nonetheless: All six Mega Man Mobile games have been updated with a new Boss Rush Mode. It's nothing fancy: you'll face a gauntlet of Robot Masters in random order, one after the next. You have all your Special Weapons at the ready and each time you defeat a Robot Master, you'll get some Weapon Energy. Once all eight (or six) Robot Masters are defeated, the marathon repeats with little to no Weapon Energy drops. Rinse, repeat. Once you die your final score is ranked on a top 5 leader board. Not much else to say than that. The update is live on iOS and Android now. ... or you can follow this blog and get them hassle-free. Read on for the first February wallpaper!